What better way to prevent birds from flying into windows than with nature's own device? 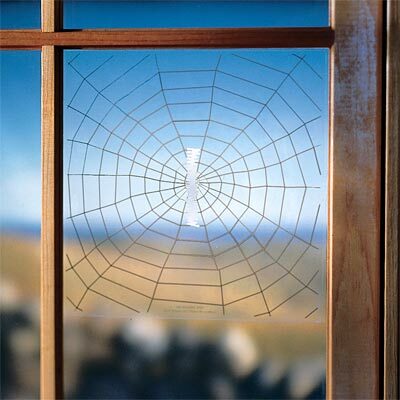 This static cling decal mimics a sticky spider web-a dangerous hazard that birds try to avoid. The zigzag area on a spider web, shown here in white, is called a stabilimentum. Made in various patterns, they all do the same job. Scientists feel spiders use them to warn birds from flying into and destroying their webs. Placed on a window, this spider web decal has the same effect. Use two or more Warning Webs on large windows. Made in the USA. Note: This item includes two Warning Web Window Decals.